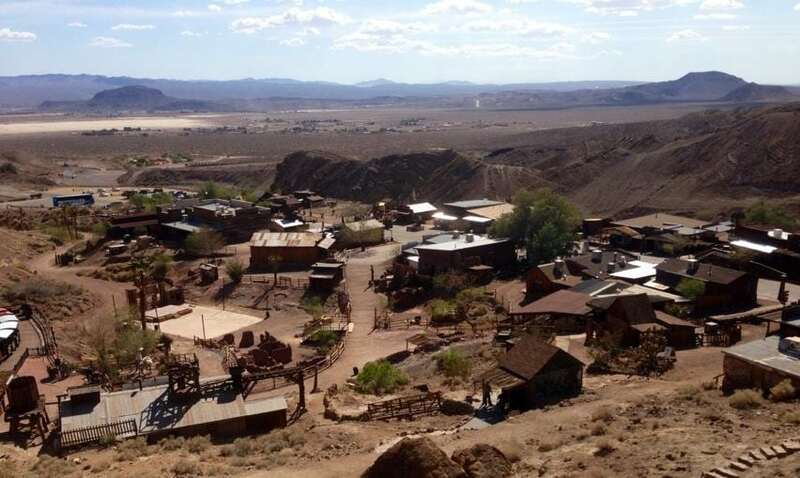 This silver mining town was founded in 1881 in the Calico Mountains of Southern California.and became California’s largest silver producer in the late 1880s. There was a post office, a weekly newspaper, three hotels, five general stores, a meat market, bars, brothels, and three restaurants and boarding houses. At its height of silver production during 1883 and 1885, Calico had over 500 mines and a population of 1,200 people. However, by 1896, the value of silver had dropped to $0.57 per troy ounce, and the silver mines were no longer cost effective. The post office was discontinued in 1898 and the school closed not long after. By 1907 the town was completely abandoned.